Did you know that it’s Father’s Day in Australia on Sunday September 4 this year? Finding great gift ideas for Dad is always tough which is why we’ve done the hard work for you and found some great Father’s Day gift ideas. We always love to make Dad a handmade craft but it’s nice for him to receive a ‘real’ gift too! I’ve been a fan of Bright Star Kids for many years now, and we often purchase from there. They now have a range of great gift ideas for Dad, which are just too cute! Father’s Day came earlier in our house as we tested out some of their great items. 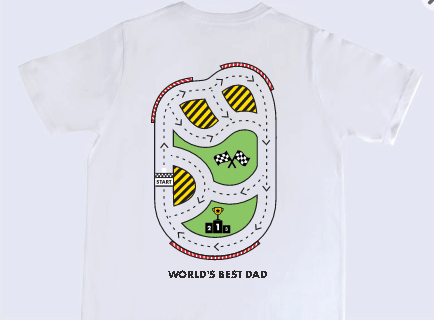 I let my girls choose what they wanted to order for Dad and they both agreed on the road massage t-shirt and have had great fun playing with their toy cars on Dad’s back! I’m not sure how much of a relaxing massage Dad gets, but it’s definitely a hit with the kids! 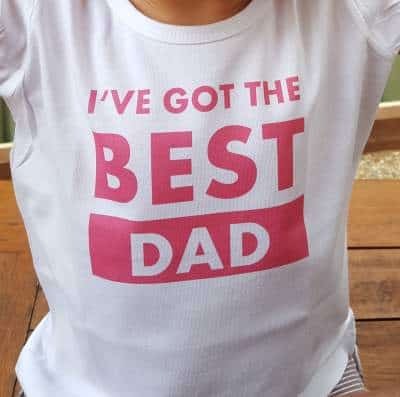 I couldn’t go past some of their personalised shirts either, and went with ‘I’ve got the Best Dad’. You can customise the style, wording and colours of all of their personalised items which is great. We have already had so many comments when wearing this shirt out and about! Bright Star Kids have a huge range of Father’s Day gift items and you can find them all here. Hurry and check them out so that you can order in time for Father’s Day. We also have a great prize for two lucky people. Bright Star Kids have kindly offered 2 x $25 gift vouchers to use towards your Father’s Day purchase. 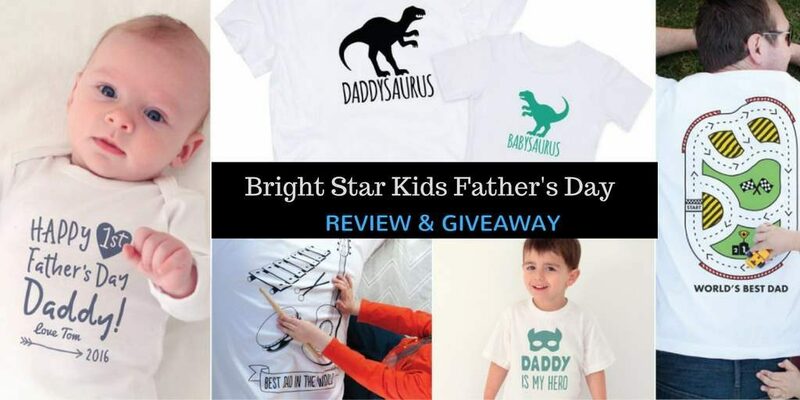 To enter visit www.BrightStarKids.com.au and tell me what Father’s Day item you would buy, and enter using the form below. Entries close August 22nd so be quick! Australian residents only. 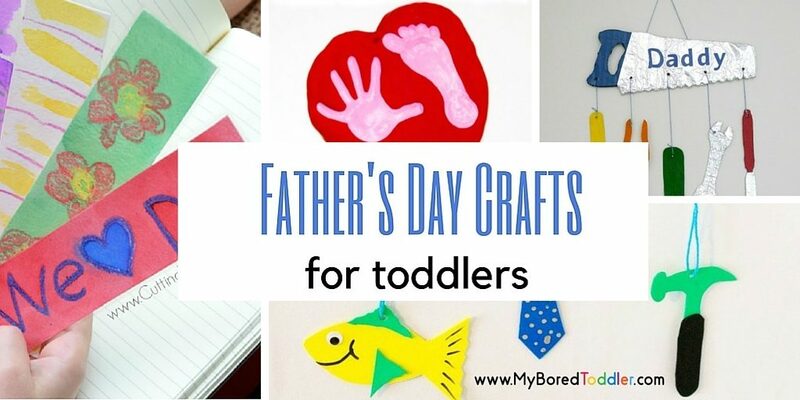 Why not add to your gift with some toddler made gifts! The fathers day vouchers are a lovely idea. Dads’ do so much for us all – it’s good when they get pampered back. I would love to buy the Road Massage T-shirt with the voucher. Such an awesome idea and fun for both child and dad. #1 dad shirt be perfect for fathers day photos. The super cool Daddysaurus t-shirt would sure put a smile on everyone’s dial. Well done Bright Star Kids! I’ve got the best dad t-shirt! I’ve got the best dad t-shirt. He would just love that! The super dad t-shirt is perfect for my superhero loving partner. The road massage tee. Dad here aches so much from giving ‘horsey rides’ and ‘aeroplanes’ that he deserves some pampering from the kids.